Certain devices on your network might require that you forward a port on your router to enable them to function properly. Examples of devices that might need this include older networked products, VoIP devices and IP Cameras. To forward a port on the Almond+ you have to log in to the web admin UI of your Almond+. 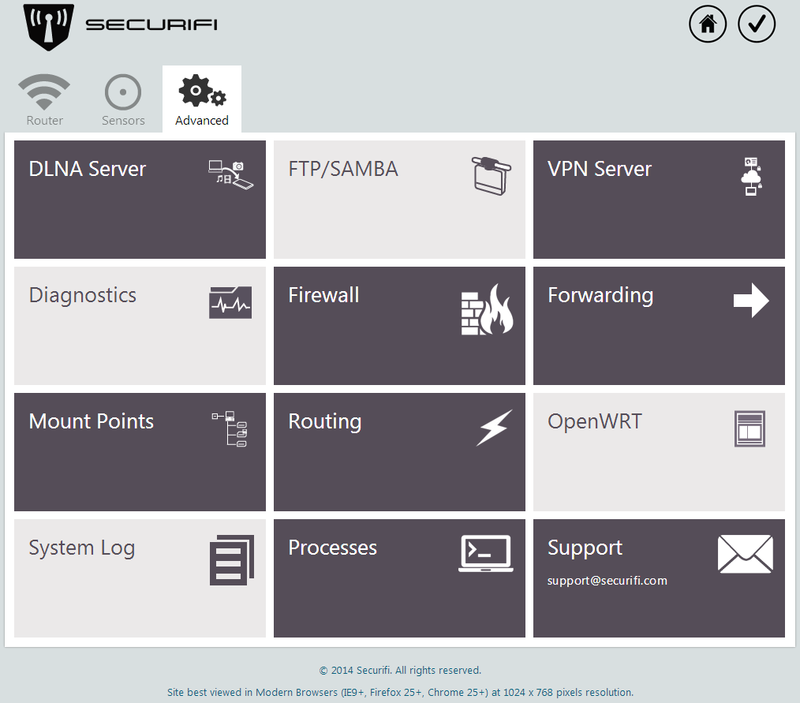 This is done by accessing the IP address of your router in a web browser. At this point, you need to first fill in a name for the port forward. Name it something logical that makes sense to you. Next you need to select the protocol you need to use, if you don't know which it is, you can leave it at the default setting which is TCP+UDP. 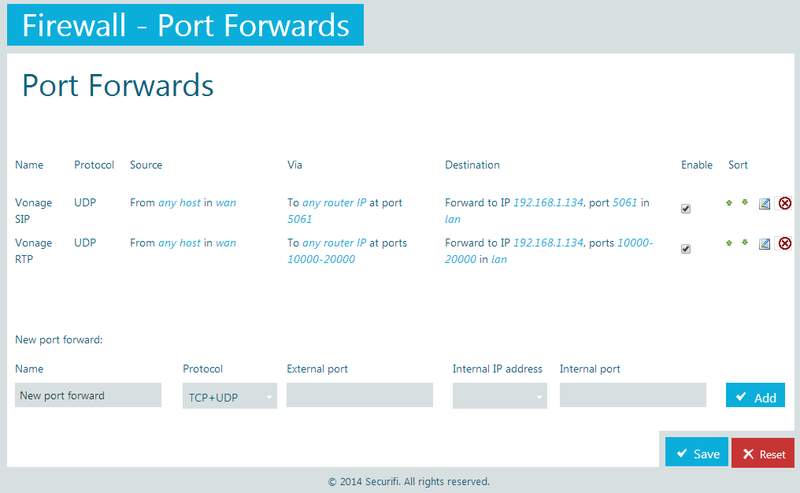 You need to know which port(s) to forward and you can normally get this from the user manual or support website of the device or application you want to forward ports to/from. Simply fill in the port in the External port text box. If you need a range of ports, this is done by putting a dash in-between the two numbers, for example 80-81. The Internal port is automatically filled in, as it should in general be the same as the external port. Finally you need to select the IP address of the device or computer you want to forward the port to. 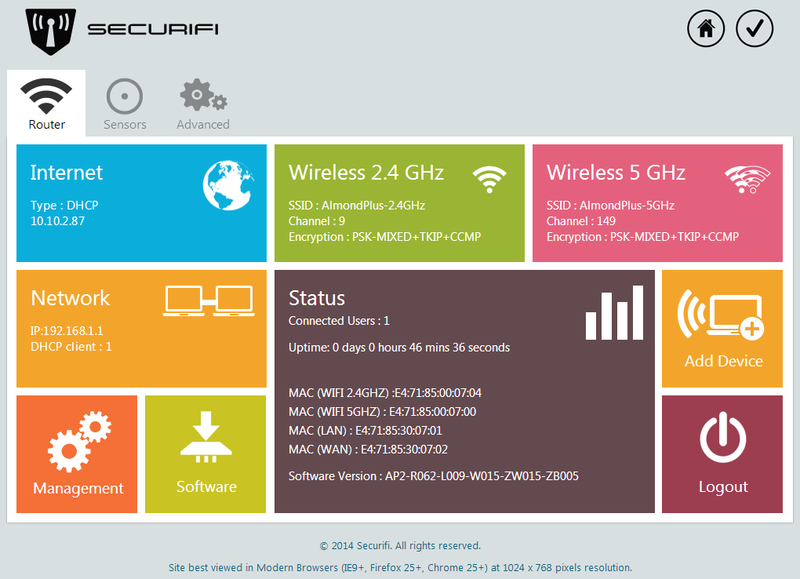 There's a drop down menu which provides a list of connected devices to chose from, or you can type it in manually. Don't forget to click on Add and then Save to finalize the port forward. This page was last modified on 14 July 2014, at 10:36.